Current schedule is tentative and will be updated regularly. Parking will be free due to the weekend (hooray! 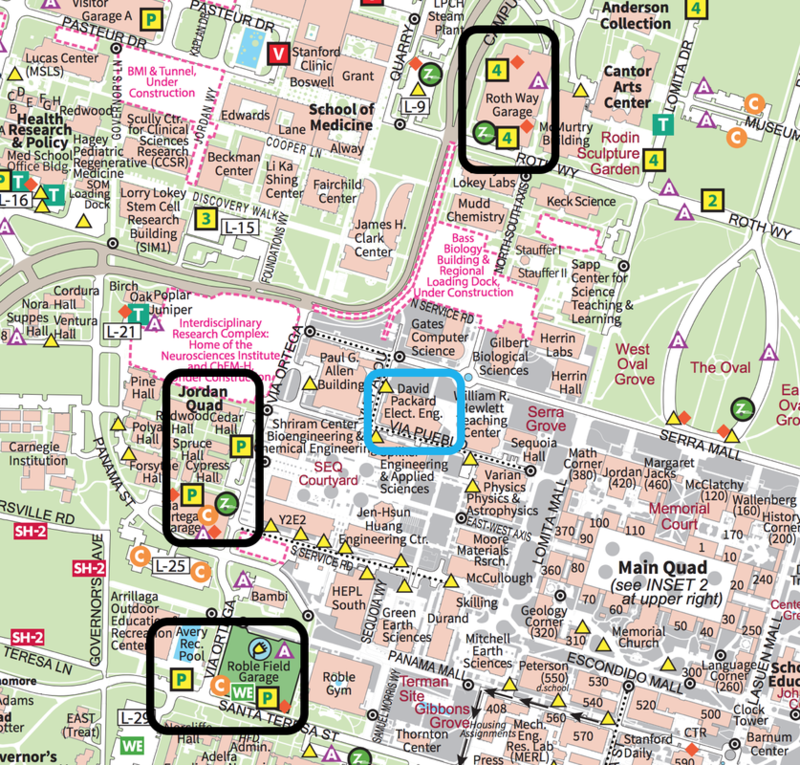 ), and attached are some parking locations near the venue. The event will take place within Packard EE building (350 Serra Mall). Access will be restricted to the the atrium hall, room 101, and a networking/hangouts area outside the building. Since you have this email, you have a ticket! We’ve decided since the tickets are free that as long as you show your ticket you’ll be able to get in. 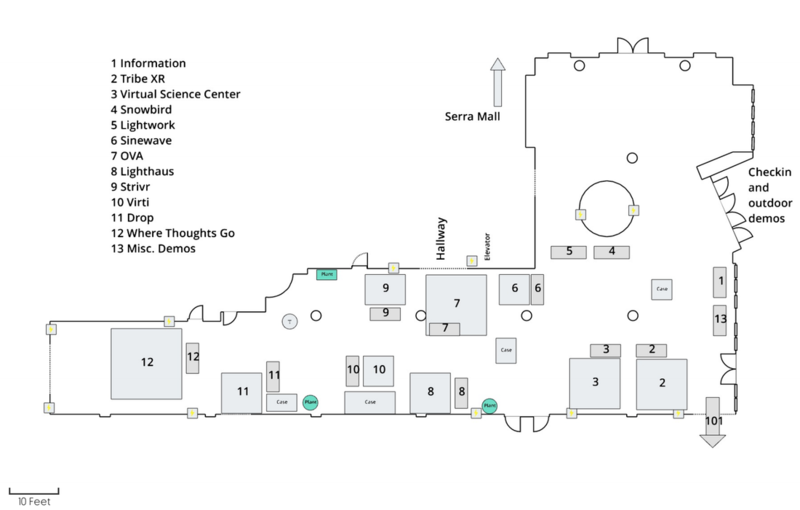 In case of the indoor rooms filling up, we’ll be admitting attendees to the atrium at a slower pace and you may be asked to hang out in the outside networking area a bit if this is the case. We’re glad to have a star lineup for the conference that’s sure to inspire and educate, but due to the venue and space restrictions, you may also choose to watch the talks online; they’ll be livestreamed on our Facebook (facebook.com/rabbitholevr) and recorded for later release. We encourage you to check out the demos if the speaker room fills up or to talk with other attendees in the outside area. You found it! Scroll up; it'll be updated in real time if there are changes. Volunteers will be wearing a purple Rabbit Hole VR shirt, please reach out to them if you need support or assistance. Visitors will be able to use “Stanford Visitor” wifi which requires a quick authentication, and students may choose any of the university networks. Questions? Email admin@rabbitholevr.org, we’ll be happy to help!